I am always amazed at the quality of design and tooling that goes into new Catalina models. 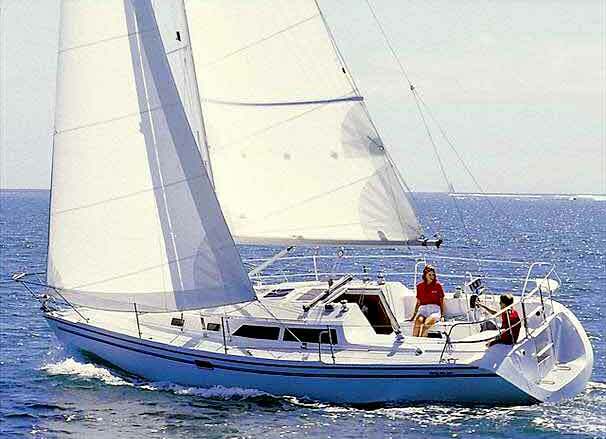 They are great boats in a very affordable package. The in-house design group at Catalina, headed by Frank Butler, is able to incorporate everything you could want in a family cruising boat. 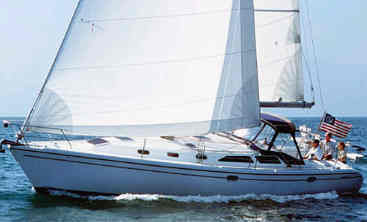 New Catalina models are examples of extensive research and mock-up work, such as the Catalina 320. The hull shape is fairly moderate in all aspects, although beam has been exaggerated and pushed aft as with a lot of the French boats we see. This is done to increase cockpit area and usable interior space. I'm not wild about fat boats. 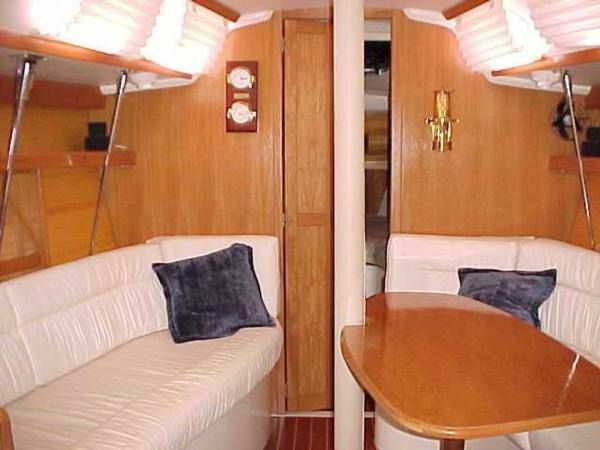 But note the size and location of the double berth aft; there is the advantage of beam. 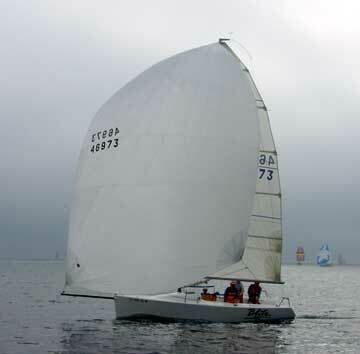 There are two keels available with either a 4-foot-3-inch or 6-foot draft. 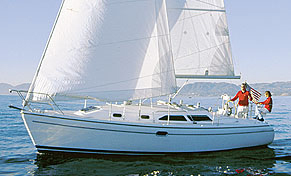 The D/L is 230 and the ballast-to-displacement ratio is 35 percent, typical for a boat like this. This is quite a layout for a boat that is only 32 feet, 6 inches long. Of course, it has the beam of a 38-footer. All the interior components look big. The cleverest aspect of this layout is the way the head and aft cabin have been positioned so that there is comfortable access to the aft cabin with its huge berth. If I had a criticism it would be that there are lots of shelves for books and plants in the main cabin but few real lockers. The galley looks well laid out, and with the forward leg splayed out slightly, it optimizes egress. Two couples could be very comfortable on this boat. I would guess that this model will become a very popular charter boat. The rig is simple. The mast shows fore and aft lowers. 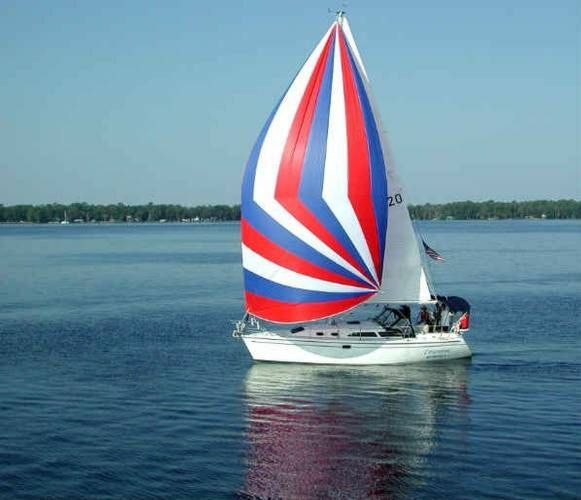 The mainsheet is a midboom type and way too far forward for my eye. 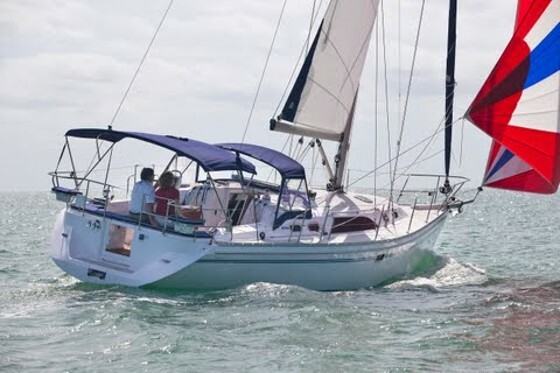 But that's a function of the cockpit length and companionway location. I'd prefer to see the traveler in the cockpit, but I know I would seldom win that argument. Certainly a good mechanical vang makes a midboom mainsheet more acceptable. The SA/D of this design is 16.55, right in the middle of the scale for this type of boat. Aesthetically I give the Catalina designers high marks. This is a very good-looking boat. A few caveats: I would have preferred to see the detailing around the transom-to-deck transition area more defined and less in the French style. I think the nicely chiseled lines of the cabintrunk would have looked better if combined with a more defined stern. I bet the hull-to-deck joint follows the edge of the transom, i.e. the transom is an integral part of the deck rather than the hull molding, and that detail resulted in this transom styling. 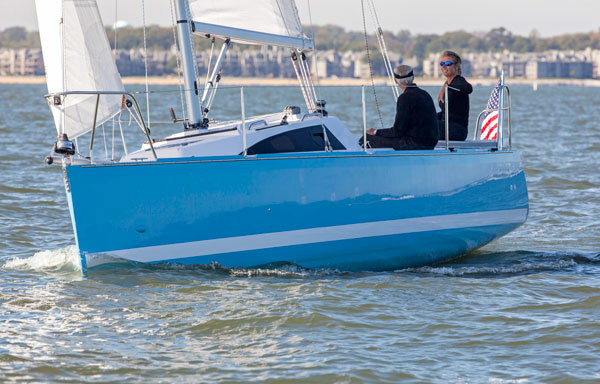 Butler and his loyal crew have weathered the changes in the American production boat business. Islander is gone. I'm not sure what Ericson and Cal are today. Ranger is history as are Lancer, Downeast, Columbia and Westsail. 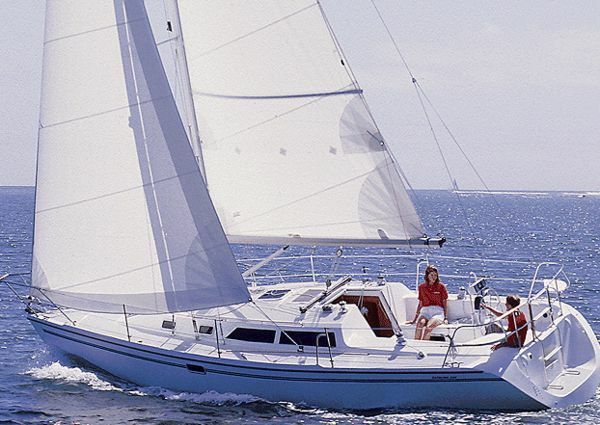 Catalina endures by giving its clients beautifully designed, affordable boats. Don't take my word for it. Just take a close look at a new Catalina at your next boat show.